You’d be surprised just how much the windows of our home function as focal points for any given room. We usually understand this subconsciously, but most of the furniture – including the couches, beds, TVs, computer desks, tables, chairs, and beds – is set up in relation to the location of the windows. As such important focal points, it should come as no surprise just how much the right window coverings can make the perfect compliment to any given room, providing not only the lighting and privacy control you need, but the perfect aesthetic touch as well. If you need window coverings, there are many companies you can contact who provide virtually anything you need. Plastic – Plastic window coverings are a great idea if you want to save money, as these are relatively inexpensive while also coming in almost any color you can imagine. The right plastic window coverings can accommodate anyone’s specific design and layout, no matter how eccentric. Consider plastic blinds if you’re moving into an apartment or renting a house. Wood – Wood blinds and shutters are the perfect accommodation to traditional housing designs, which incorporate a lot of wood and wrought iron furniture. Wood blinds have a tendency to create a warm, human feel to any room. Wood blinds are also available in a wide variety of wood colors and stains, so you’re guaranteed to find the perfect wooden window coverings to accommodate your home’s design. However, avoid placing them in rooms that see a lot of heat, humidity, and moisture like the bathroom, as these factors tend to expand wood and can damage these window coverings over time. Faux Wood – Window coverings made of faux wood are a fantastic invention because they provide virtually all of the same aesthetic benefits as natural wood blinds, come in just as many varieties, stains, and colors, and they also aren’t susceptible to damage from heat and moisture. With faux wood blinds and shutters, you can place them in your bathroom or any other room that see lots of heat and moisture without fear of them becoming damaged. Metal – If your home has a more modern design feel to it, then metal blinds and shutters are the way to go. These provide a more streamlined, modern day look to any home, and are also available in many different sizes and colors. If you live in a home that is minimalist or industrial in design, metal window coverings are also the perfect fit. Did you know you’re probably wasting a lot of energy do to sub par window coverings in your home? It’s true, if you aren’t using the right window coverings, or utilizing them properly, your home isn’t going to be as cool as it could be during the summer nor as warm as it could be during the winter. You will maximize your home’s energy saving capacity. The right window coverings will reflect light and heat away from your home in the summer, and help draw it in during the winter. 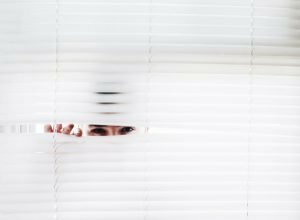 So, if you want to keep your home cooler during the summer, install brightly colored blinds and keep them closed throughout most of the day, especially in areas where the sun is directly shining. At night, open them up (and consider leaving the windows themselves open as well) so that any hot air that has accumulated in your home can dissipate out through the windows at night. If you want to keep your home warmer during the winter, install dark colored window coverings. During the day, leave them open in areas where the sun is shining, and in other areas, keep them closed so that light and heat can absorb into your house through them. At night, keep them all closed as tightly as possible, so that the warm air can remain trapped in your home. Some window coverings are made with a bright side and a dark side for exactly this reason. For the best results, install them as snugly against the windows as possible. You can also install bright window coverings during the summer and dark window coverings during the winter, maximizing your home’s energy saving capacity year round. These were made in the late 1970’s specifically to help people reduce their energy costs following the energy crisis of that time. These are shades that are shaped like honeycomb. The different cells trap air and provides a greater level of home insulation. These are one of the best ways of insulating your home because shutters usually have less gaps in comparison with other window coverings. This is due to the fact that they’re usually installed closer to the window frame. Shutters have custom fitted louvered adjustable panels, which helps prevent cold and warm air from making its way out of your home. These are especially great for the winter, as they create a solid barrier that traps warm air inside your home, so you don’t have to crank the heat up nearly as much. If you decide to use shutters to maximize your home’s energy saving capacity during the winter, be sure to install dark colored shutters. Solar shades are great for both insulating your home while also allowing you a great view of the outdoors. These are unique because most window coverings create insulation through opaque materials, while solar shades are transparent. That said, solar shades come in many different styles and in different degrees of transparency. There is also a “blackout” option that keeps your home dark during the day. Be sure to install these window coverings in rooms where privacy isn’t a major issue, since they are, after all, transparent. Roman shades are great for energy efficiency because they are comprised of thick material. They’re available in all kinds of designs, colors, and fabrics. 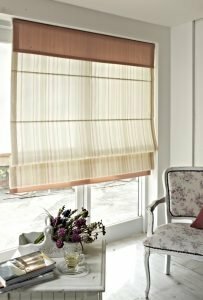 You’re guaranteed to find the perfect Roman Shades for virtually any interior design imaginable. Roman shades must be installed as snugly against the windows as possible, and closed throughout most of the day, in order for you to get the most out of them in terms of insulation.